What is fashion without hair? 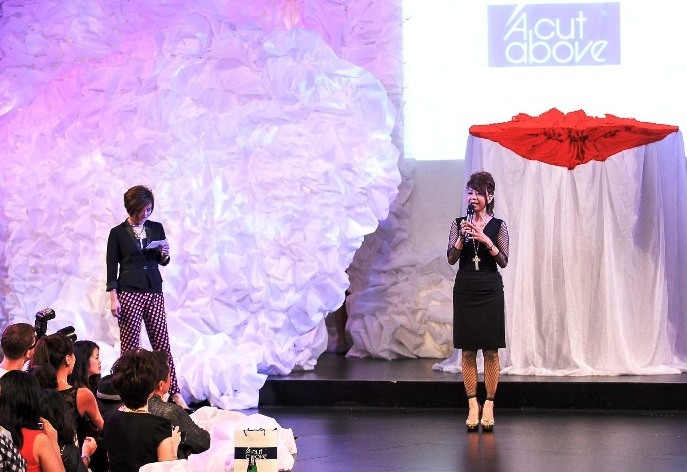 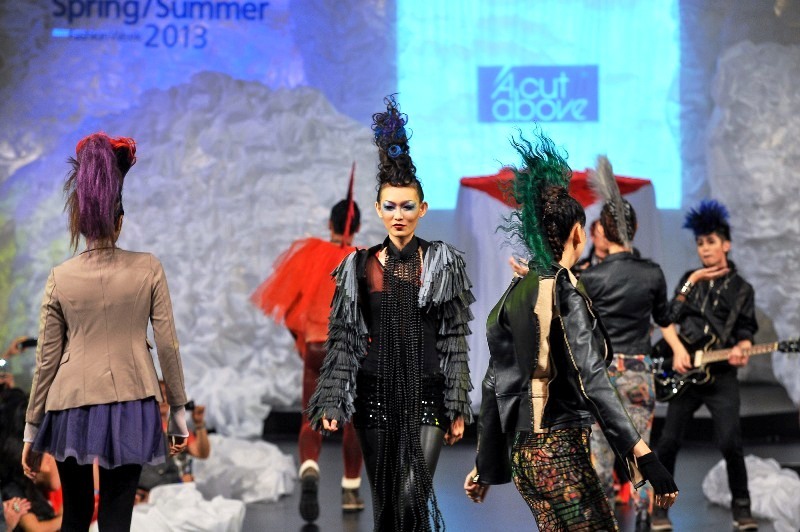 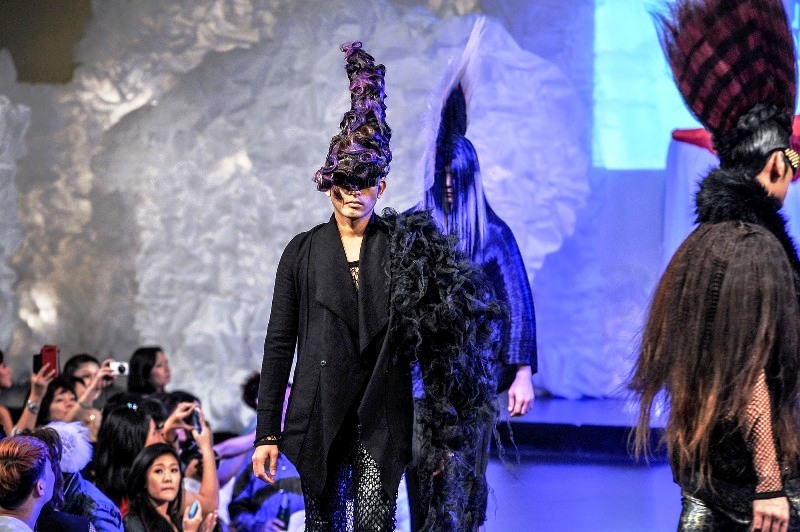 A Cut Above celebrated its 34 years of prominence and rocked the runway of the Mid Valley Megamall Fashion Week 2013 with a showcase of their skills and latest hair collection fashionably. The hair show and party themed “Amazing 34”. 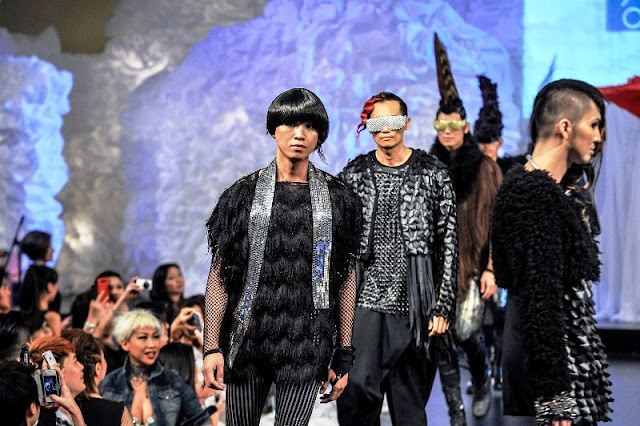 Showcasing awe-inspiring creations of streets & punk, edgy runway trends of today with a twist, to an astounding Avant-garde collection by Joe T’ng, Faevien Yee and the creative team stylists, Sam Chau, Dicksum Low and Winnie Loo, the mastermind behind the whole show concept. Inspired by the era where men weren’t too particular about showing off their feminine sides, the times of Boy George and Prince, with influences by current Korean street style, a mix of the 80s west and the present trendy east, this collection explores the feminine side of men from the fashion to the hair while retaining masculinity. Inspired by street culture; everyday life of the youth that likes to rebel in some form but they are truly creative people. 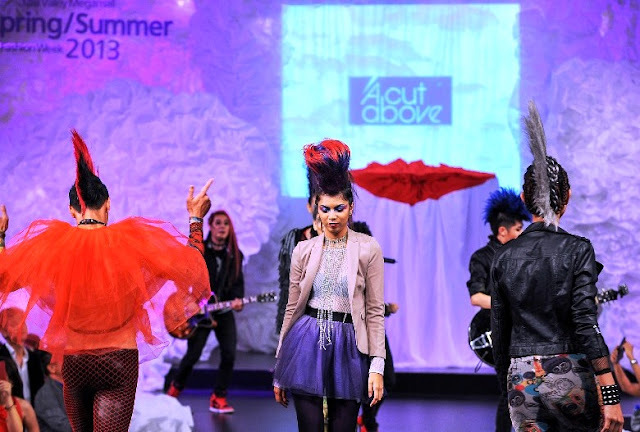 Hair, fashion & music direction comes from “Punk” and prepared to be wowed. 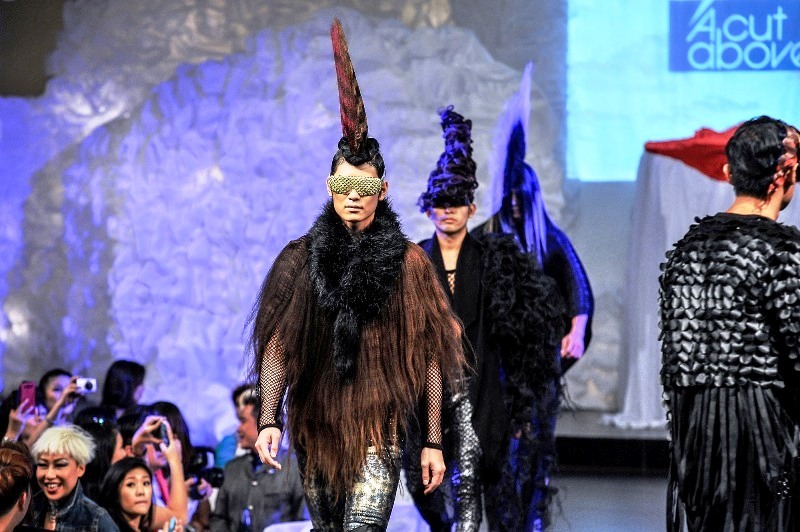 Inspired by British fashion designer Gareth Pugh, the collection is a cross between superheroes and sci-fi fiction. 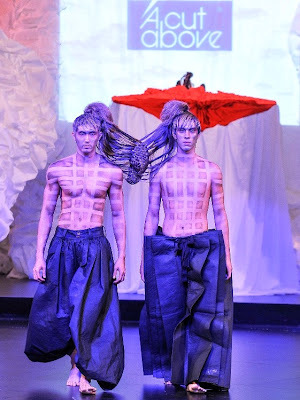 A fantasy-like reality where one is obsessed by self-consumption and power. A Cut Above definitely knew how to celebrate and fashion the Amazing 34 Hair Party in true dynamic style. 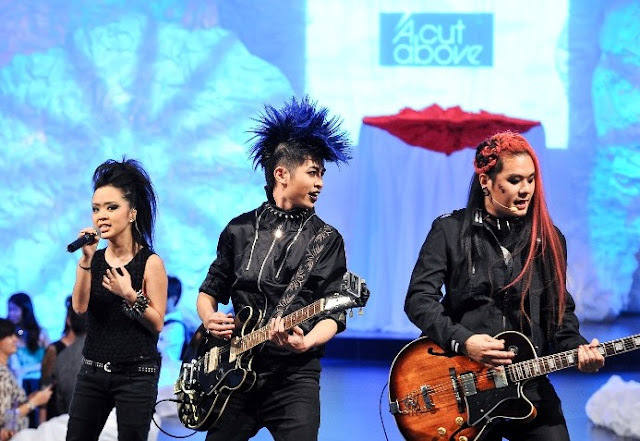 The sponsors for this party are Mid Valley Megamall for the spectacular venue, HSBC, Sharp, Kronenbourg 1664, Chatime, Loréal Professionnel and An Honest Mistake band for their brilliant performance.